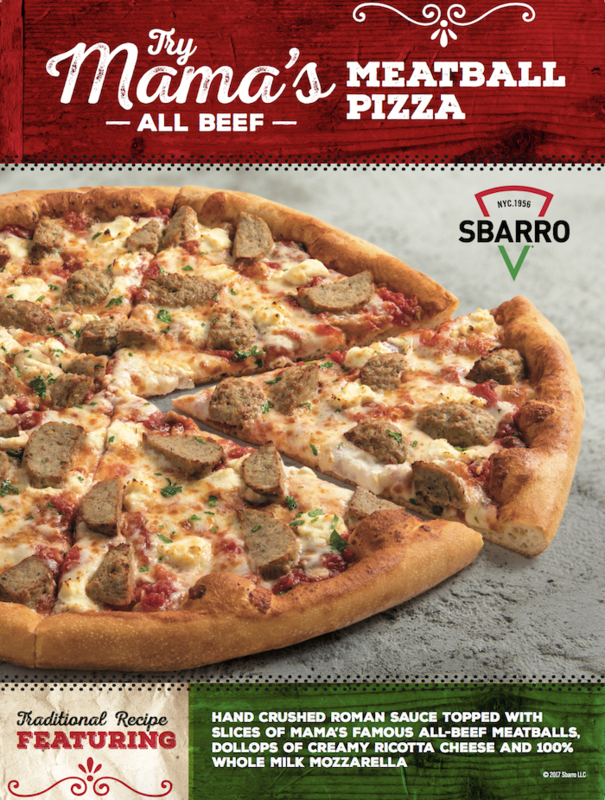 Starting September 5th, Sbarro will introduce a new specialty pizza inspired by Mama Sbarro’s homemade meatballs. Combining Sbarro’s classic XL NY Slice pizza with 100% All-Beef Meatballs is a pairing that even Mama Sbarro would be proud of. Available for a limited time only, the new Mama’s Meatball pizza is handcrafted starting with fresh, daily made dough, then topped with our premium, hand-crushed Roman sauce, Mama Sbarro’s famous all-beef meatballs, dollops of creamy ricotta cheese and 100% whole milk mozzarella. The Mama’s Meatball NY Style Pizza will be available for purchase in participating restaurants through November 11. Find the Sbarro nearest you by visiting https://sbarro.com/locations/ and try a slice today!